This is an international website. If you are a US citizen, please select the US site. Intacs® Corneal Implants and Intacs® SK Corneal Implants are an ophthalmic medical device designed for the reduction or elimination of myopia and astigmatism in patients with keratoconus so that their functional vision may be restored and the need for a corneal transplant procedure can potentially be deferred. When placed in the corneal stroma, outside of the patient’s central optical zone, the product reduces the cone by flattening the cornea. Intacs® segments are designed to be placed in the periphery of the cornea, at approximately two-thirds depth, and are surgically inserted through a small radial incision in the corneal stroma. The Intacs® are designed to allow removal or replacement.Intacs® and Intacs® SK Corneal Implants are manufactured from polymethylmethacrylate (PMMA) and are available in different thicknesses, ranging from 0.210 mm to 0,5000,450 mm. The product is designed with a fixed outer diameter and width. Intacs® and Intacs® SK Corneal Implants have positioning holes located at each end of the segment to aid in surgical manipulation. The Intacs® SK segments are designed with rounded edges to potentially reduce the incidence of visual symptoms since de SK segments are placed closer to the patient’s central optical zone than the standard Intacs segments. 2001 Addition Technology, Inc. acquired KeraVision assets. KeraVision, Inc. was the former manufacturer of Intacs® Corneal Implants. Intacs® Corneal Implants were originally developed for the correction of myopia. 2003 CE Mark granted for treatment of keratoconus. 2004 Received Humanitarian Device Exemption (HDE) from the FDA for keratoconus indication. 2007 Intacs® SK Corneal Implants added to CE Mark for treatment of severe keratoconus. 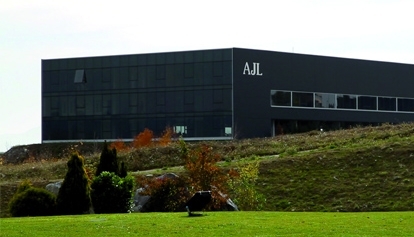 2013 AJL Ophthalmic, S.A. acquired Addition Technology, Inc., which is still the manufacturer. 2014 Agreement with Oasis® Medical, Inc. as Intacs distributor for the USA territory. Copyright © 2015 Addition Technology™, Inc., a company of AJL Ophthalmic, S.A.. All Rights Reserved.